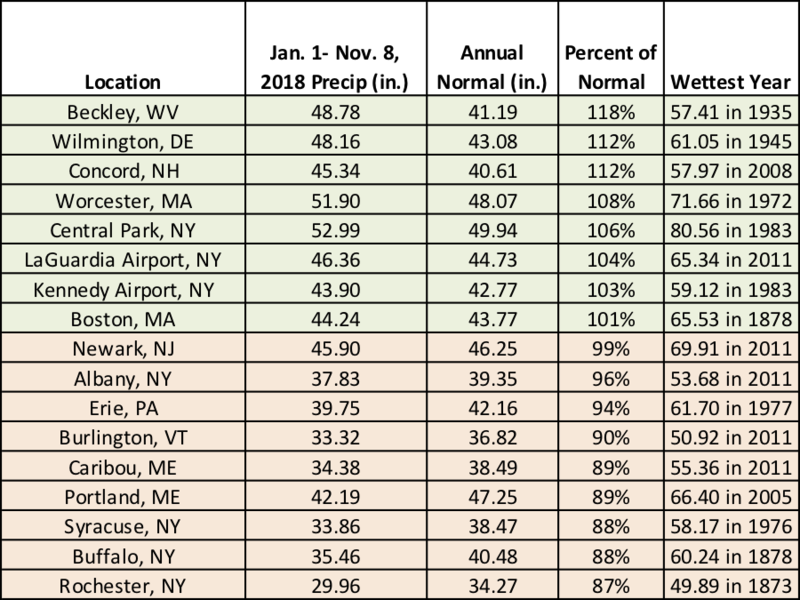 It’s been a wetter-than-normal year for a majority of the 35 major climate sites in the Northeast. As of the 8th, 18 sites have already had one of their 20 wettest years on record. 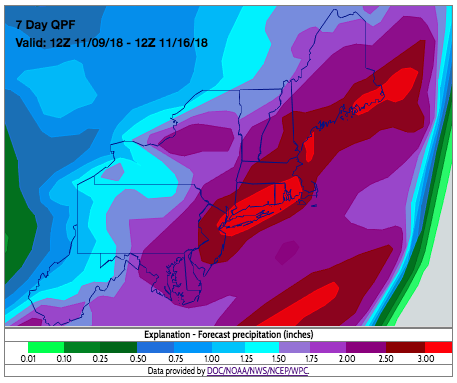 From 1 to more than 3 inches of precipitation is forecast for the Northeast over the next seven days, so a few more sites may be added to that list. 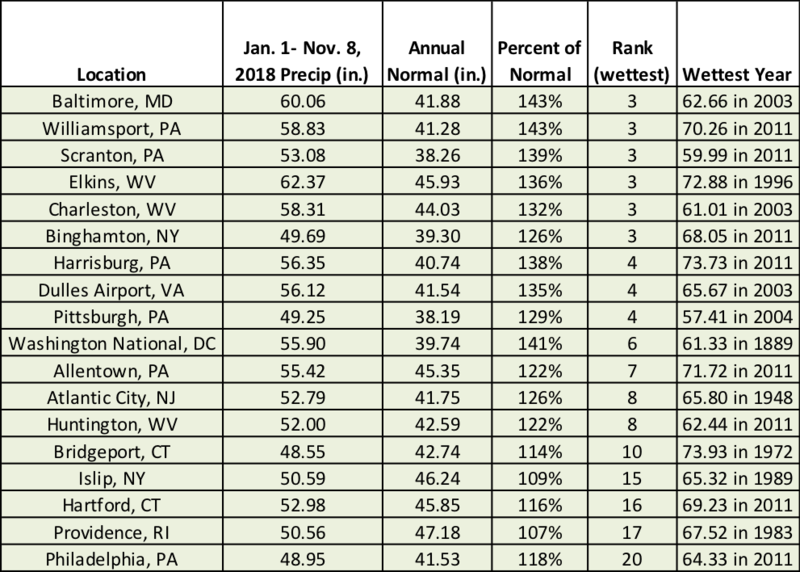 In fact, Baltimore, MD, and Charleston, WV, have the potential to have their wettest years on record if they receive a little under 3 inches of precipitation during the rest of November and December. Baltimore already had its wettest July on record, while Charleston had its wettest September. 2018 is already among the 20 wettest years on record for these 18 sites. Year-to-date precipitation for the rest of the major climate sites ranges from 87% of normal in Rochester, NY, to 118% of normal in Beckley, WV.